It's more than 10 years since Ivo Gormley began doing a weekly errand for an aged neighbour. 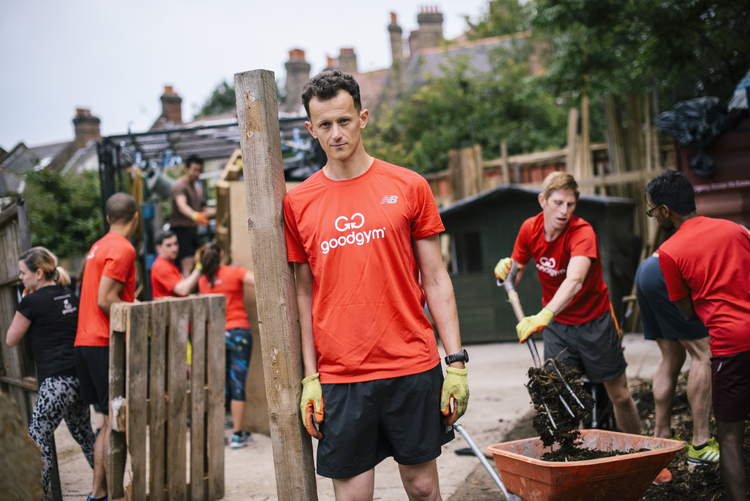 That altruistic deed gradually developed into the national charity now known as GoodGym, which recently opened in its 50th location, Solihull. In an interview first published in May 2018, Ivo talks ConnectSport through Goodgym's incredible journey. In 2008, Ivo Gormley was feeling unfit after graduating from Edinburgh University. He was urged to join a gym by his friends, but pumping iron in a sweaty basement seemed to him like "a waste of human potential". Instead, he started doing a daily run to deliver a newspaper to his elderly friend Terry in Bethnal Green, east London. It gave him an idea. More than 10 years later, that idea has spawned a national charity that combines getting fit and doing good. It now operates in 50 areas of England and Wales, with Solihull recently bringing up the half century. 'Coach Runs' see an individual partnered with an isolated older person in their area and do regular runs to visit them, chat and keep them company. The elderly person is labelled 'coach' as visiting them helps maintain the runner's motivation. 'Mission Runs' involve groups running to help an older person with odd jobs around the house which they are unable to complete themselves, such as gardening or even changing a lightbulb. 'Group Runs' involve groups running to a specific location to help with manual labour at community projects in parks, schools or foodbanks. These are led by qualified personal trainers who are also responsible for setting up each activity. "It was difficult in the first place persuading other people that it was a good idea and not a strange thing to turn up at someone's house a bit sweaty to help out," Ivo (pictured above) told ConnectSport. "I realised helping Terry had got me into running, pushing myself to go further, doing sit-ups and press-ups. I thought it might work for other people too. I started encouraging others to run to visit older people who were lonely or less mobile and slowly it grew. "I started to talk to other organisations that worked with older people, working out the safety process and getting their approval. Once we had five or 10 runners, people started to really get it, especially as the feedback from the older people was always incredibly positive." A few people found the necessary DBS checks a bit of a chore, which is what spawned the Group Runs, enabling people to join as they pleased. A social circle soon developed through those weekly meet-ups to run and help the community. "There was a really exciting sense of adventure when you ran a new route and found out about a new community project you've never been to before," said Ivo. "It soon starts to feel like it's a really exciting part of your life." In 2012, activity spread from the initial group in Tower Hamlets to Hackney, Newham and Camden. The first professional running coach, Shaun Dixon, was employed to lead a Group Run. By 2013, Gormley started working on GoodGym full-time. 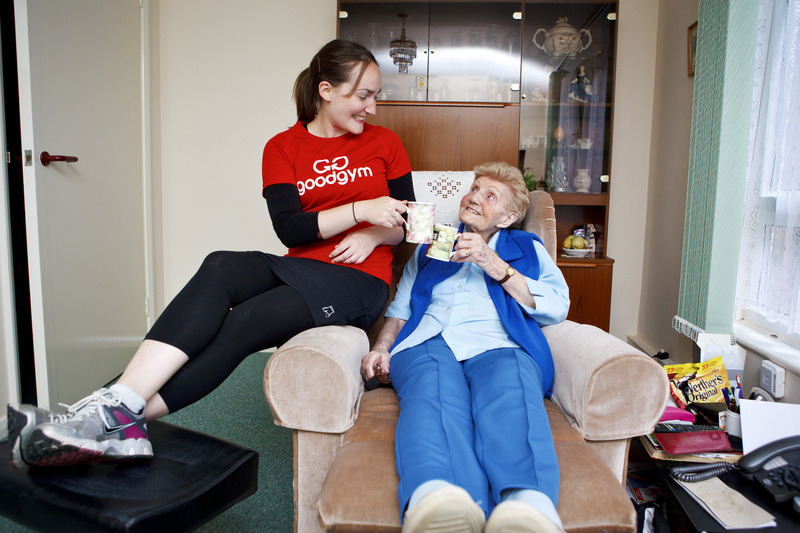 Since then, around 10 new GoodGym locations have been added per year, supported by a wide range of local and national partners such as Age UK and the Red Cross, who help identify older people living locally whose needs can be supported by a runner. Funding comes via sponsorship from New Balance and BT as well as runners' voluntary donations. There's no doubting the impact: 78% of GoodGym runners report increased motivation to exercise and 100% of older people say they feel happier after six months of visits. Ivo said: "The amount of activity going on week in, week out is incredible. It's so valuable for someone who probably wouldn’t see any other family or friends on a regular basis. Giving them that sense of connection is so important. Each of those one-to-one relationships is different and wonderful in its own way. 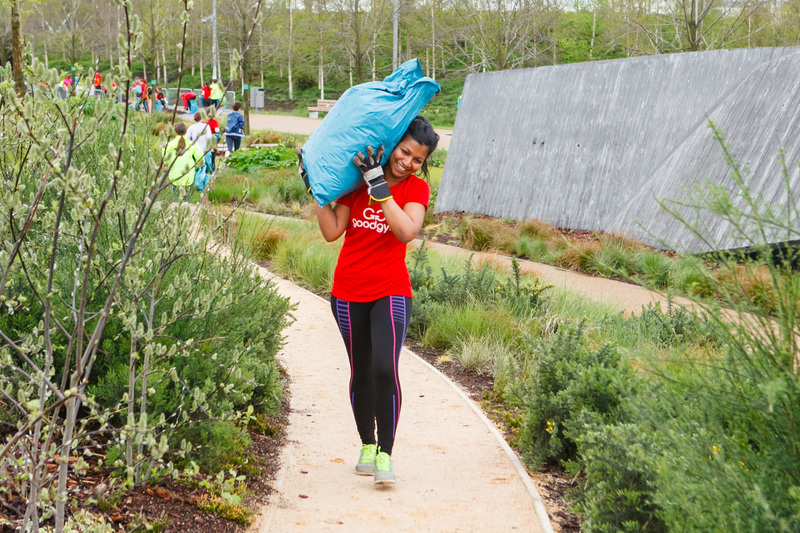 "For runners, whether you're someone who has lived in that area your whole life or whether you're new to the area, GoodGym is a great way of playing a more active role in where you live. "People lack free time these days but it doesn’t need to take long. A lot of people say they would like more exercise, and a lot of people say they would like to do a bit more for their community, but if you can do both of those things at the same time it's beneficial to all. "Exercise is such a wonderful, exciting and important part of our lives. We want to help make it easier and more fun to get involved by making sure everyone has access to GoodGym. It's an easy way to get fit and build in a local connection to your daily life."